Rhinoplasty without surgery is possible? Yes! Non surgical nose job is 1 of advantages of modern medicine, which is changing towards safer and less invasive procedures. 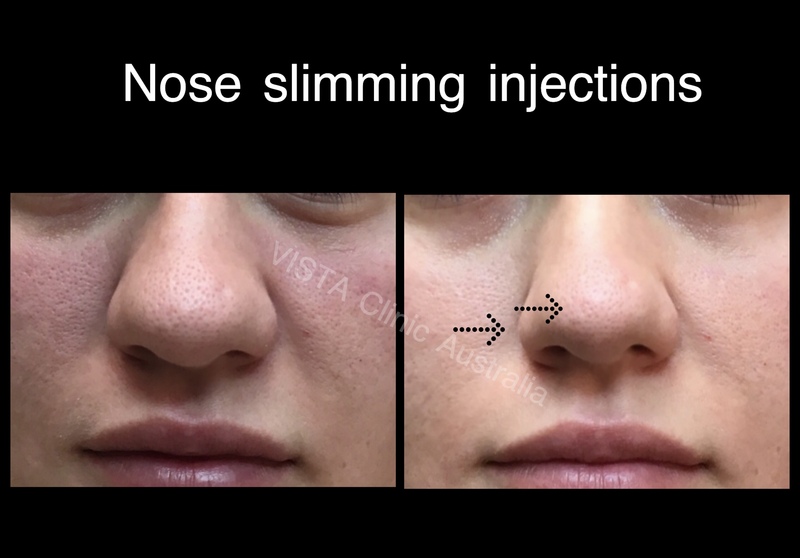 At VISTA Clinic Australia, we have a lot of patients who have minor things they wish to improve about their noses, but not keen on surgery or not suitable for it. If you wish things to be removed significantly, plastic cosmetic surgery remains to be a golden standard. There is no such thing. We all are different and it’s wonderful. 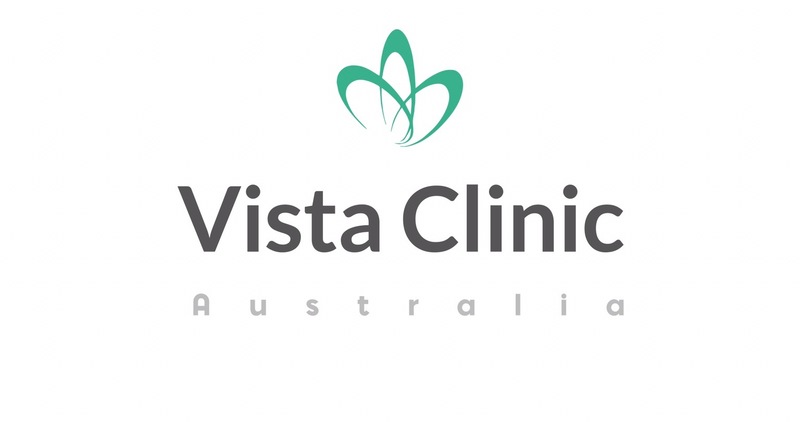 VISTA Clinic Australia believes in minor changes, which look natural and yourself, but fresh, less tired, and with closer to aesthetic proportions. Golden ratio theory is a mathematical calculation of most attractive proportions of the face. Golden ratio measurements are done by doctor with special tools and it provides guideline and ideas, then doctor discuss findings with patient, and form management plan. 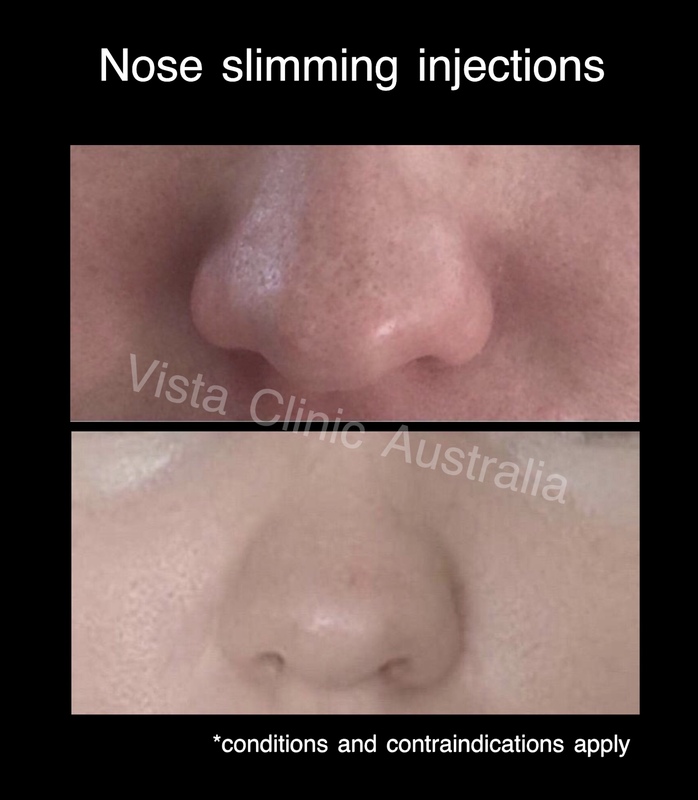 Most common requests we receive at VISTA clinic Australia and personally Dr Larissa Miller – nose tip is down (it can be genetic or/and aging process), nostrils are too wide, hump on spine of nose, pores on nose and to make nose smaller. It is important to accept and love yourself the way you are. No point to change yourself to be like some particular another person, you will never be them. But how to be the most beautiful version of your self – VISTA clinic Australia is more than happy to help and to share our expertise and years of experience for your wellbeing. Problem: Tip of the nose is hanging down. Can be due to aging and/or genetically determined overly active muscle, pulling down the tip of the nose (this muscle called depressor septi nasi). Procedure: Can be done by filler at the basement of the nose, replacing the resorbed with age bone and providing “basement” support for the nose. Another option include a muscle relaxant injection to weaken the muscle, pulling nose tip down. 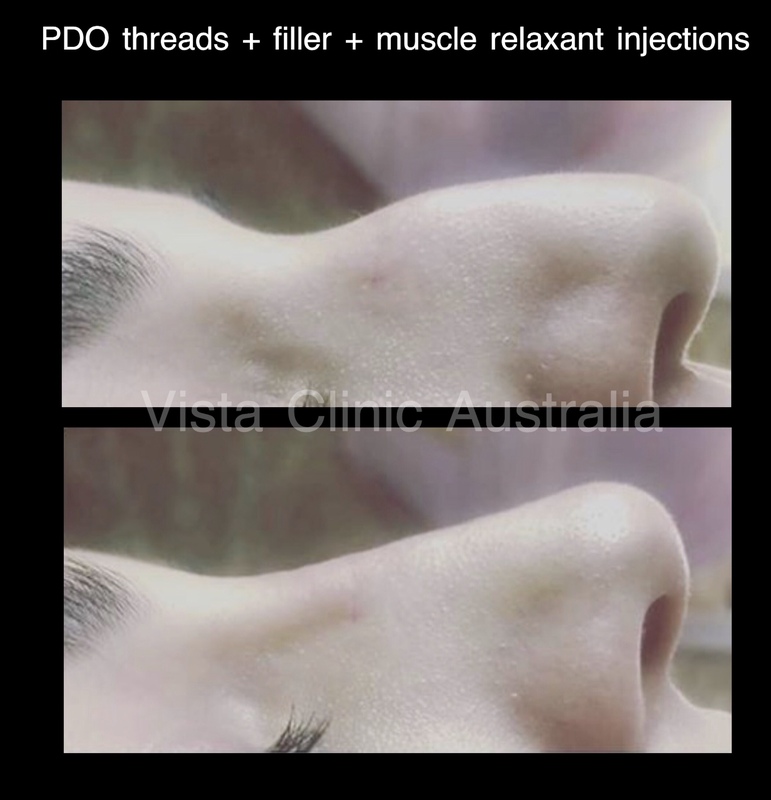 VISTA CLinic Australia cosmetic doctor can also enhance action of other muscles, which lift nose up. Such approach particularly useful for people, who’s nose tip hanging is worse when person is talking. Thread lift (absorbable suture material) can also re-shape the nose. Profile nose angle from 90 to 130 degrees is a golden ration standard and what patients at VISTA Clinic Australia commonly desire. Dr Larissa Miller learnt the technique at the anatomy lab of the famous Medical School of Paris – University Descartes Paris. Dermal filler is being injected under the base of the nose to re-built lost with age underlying maxilar bone. Usually the procedure is well combined with muscle relaxant injection to weaken all muscles which pull the nose down. Medical grade dissolvable, collagen stimulating threads are inserted under local anaethetic. It can be done for tightening of skin and for mechanical elevation of tip of the nose. This technique Dr Larissa Miller and Dr Michael Sutourine were trained for by creator of the best thread in the world in 2018 – plastic surgeon Dr Sulamanidze in Georgia. What non surgical nose job procedures can be done? There are plenty of options. It can be 1 or combination of cosmetic injections. Doctor will discuss with you options tailored for your individual anatomical and physiological nose, along with taking into consideration your wishes and aesthetic golden ratio (to insure it will loo nice and natural with rest of your face). 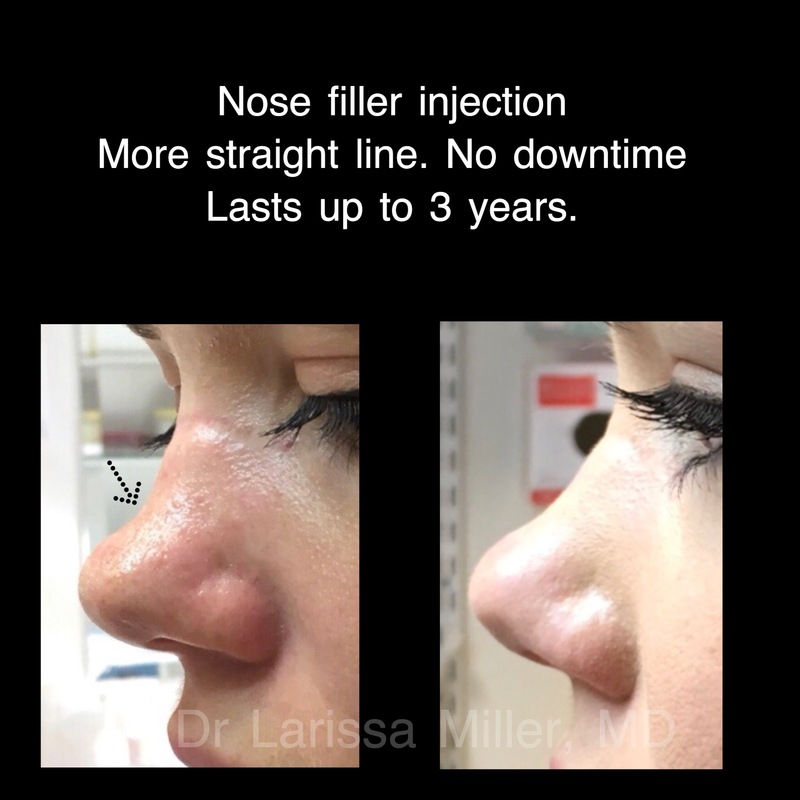 Filler is used to narrow nostrils torwards to center of the nose mechanically.You can see effect immediate, but final result after 2-4 weeks. Muscle relaxant injection helps is relax alar part of nasalis muscle which is responsible flaring nostrils wider. Time of procedure – 15 min. Injections are done after strong topical anesthetic applied to ensure comfortable and minimally painful procedure. Please, note that circulation is tricky in this area and the procedure must be done only by very experienced injector. Tip of the nose can be a bit enlarged, either for genetic, traumatic reasons, previous ENT or plastic nose job surgery. VISTA Clinic Australia experienced doctor will assess your nose structure and for eligible patients there can be a special injections done to shrink (make smaller) the amount of soft tissues. 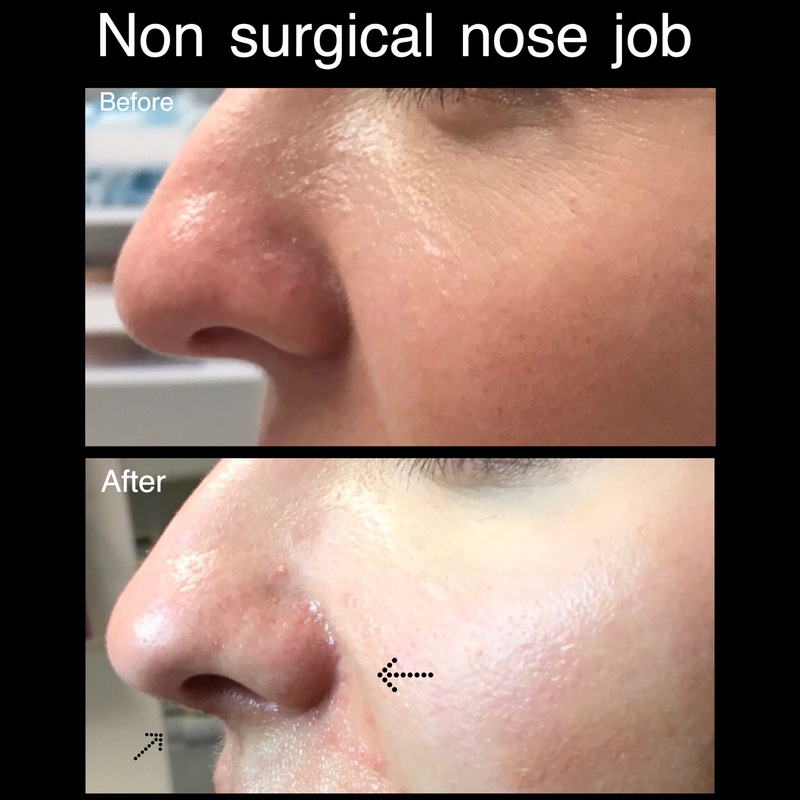 Such nose slimming injection can give visible results straight away, but in majority of cases it takes around 2 months to see the final result. Side effects of such injection include irregularities, therefore VISTA Clinic doctor will approach your nose carefully, stating with a smaller dose. It’s better be safe than sorry and if results are not enough, 2nd and 3rd procedure can be always done. Popular procedure. 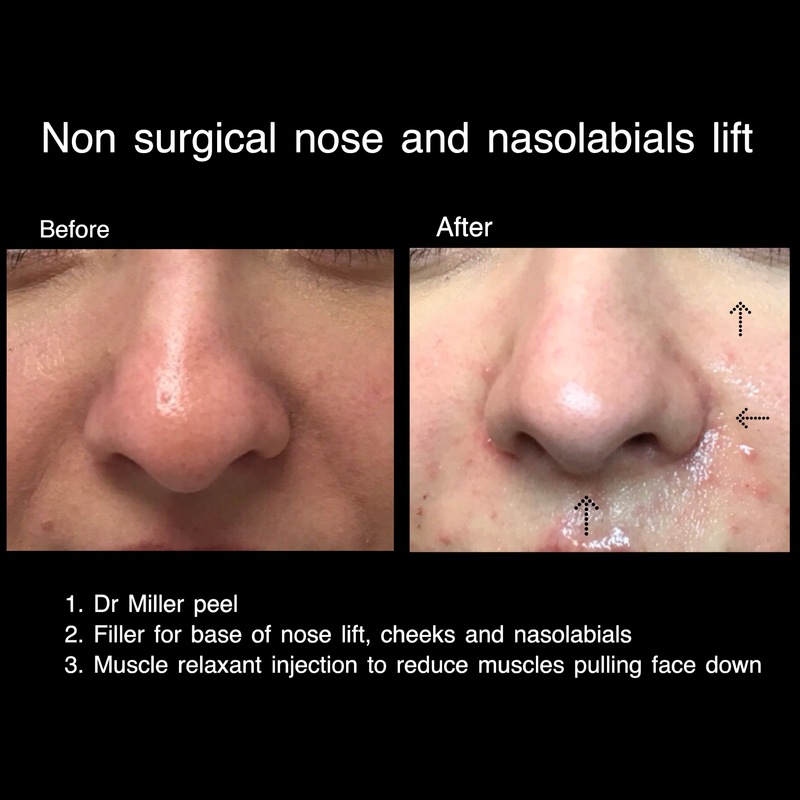 Dermal filler is used to sculpture straight nose. The area is highly vascularised and has high tension of tissues, therefore doctor will likely use step by step approach. Correct as much as safe at 1st procedure (most of patients it’s enough). If you wish to continue, we will let filler material settle within 2-4 weeks, and then inject more for correction. The procedure is usually well tolerated, under local cream. Nose doesn’t look bigger as very small amounts of dermal filler in precise areas placed. It is always a possibility to dissolve filler within few seconds. Skin check, especially on sun exposed areas is vital prior to any procedures done to remove any lesions. VISTA Clinic Australia is using 2 state of art dermatoscopes (electronic and classic) to assist us with the best possible quality of diagnosis and safety. Dr Larissa Miller is associated and passed exams for Certificate of Dermatosopy with Australasian College of Skin Cancer. After clearance, you will be offered options to remove lesions either straight away either at more convenient time.